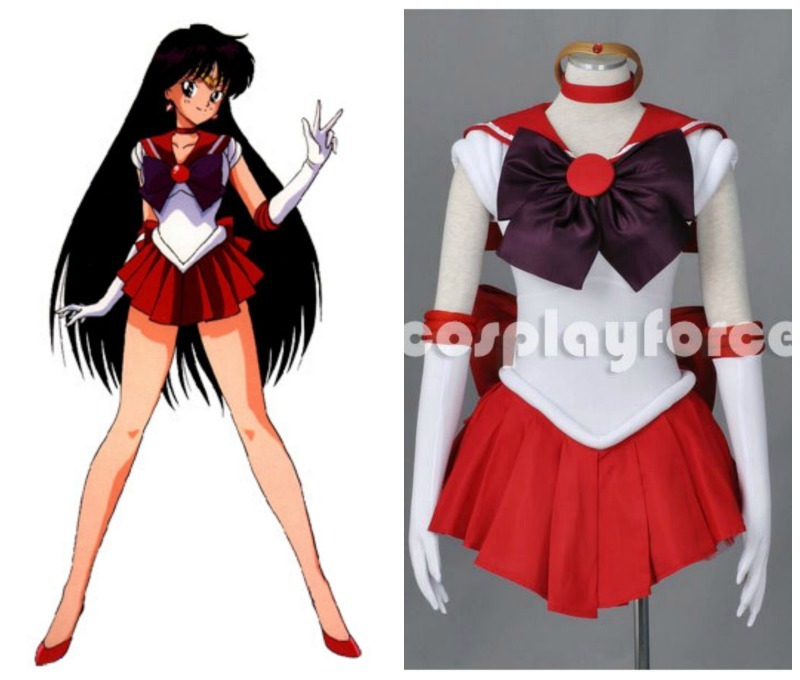 I’m really hoping I can buckle down and get this for next year though, especially considering I’d like to at some point attend a convention in costume. This has been my DREAM Halloween outfit for a long, long time. I recently finished Bioshock Infinite (yes, very late) and I really enjoyed the game. Of course, I had already started thinking about an Elizabeth cosplay, especially given that her look from the beginning of the game is very Belle-esque (from Beauty and the Beast) and could be adapted that way if I wanted to be lazier/more casual with the costume. I wasn’t really considering the other outfit, despite my love of corsets, but I don’t think it’s as suited for me. 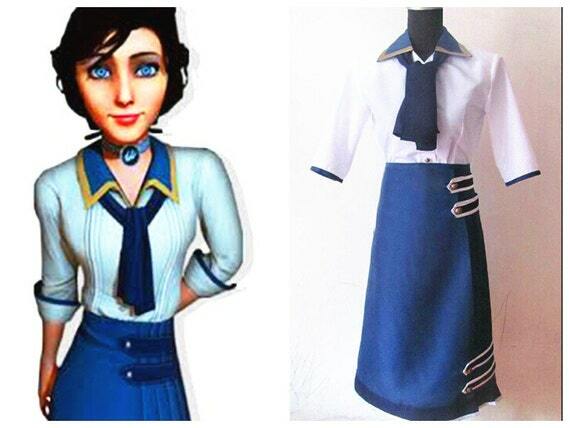 People have amazing cosplays of that Elizabeth, but I really thought the first outfit was more charming. Ultimately, it was proving really difficult for me to piece together the costume (getting a long enough blue skirt was basically the main struggle) and I decided not this year. Maybe next year, I’ll become better at thrifting or dropping a lot of money on a costume. 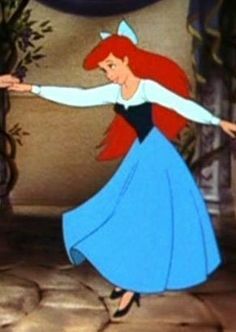 You may recall that I absolutely love The Little Mermaid. 2 years ago, I was Hipster Ariel for Halloween. This year, I played with the idea of doing Ariel’s blue dress, because it’s actually my favorite of her outfits (I don’t like green) and I really wanted to dye my hair red again. There is no reason her costume should cost so much more than any of the other ones I’ve been looking at?? And yet I could not find this for less than $100 without getting a really cheap fabric. It looks really easy to construct on my own, but again, I ran into problems finding the pieces I wanted, namely a plain black (read: not sexed up) corset and the dang long blue skirt that was vexing me with the Elizabeth outfit! Also, not only were the costumes I found online expensive, but they were also just… I don’t know, they didn’t look very nice! I was really hoping I could pull this one together on my own, but the skirt and corset issues are still plaguing me. I’ll keep looking. Alas, none of these visions will be coming true this Halloween. I’m left trying to piece together something that will still get me really excited to dress up but I don’t know if I will be excited, having hinged my Halloween dreams on these 3 costumes all year long. Giving up on dreams is hard, ya know? I did have a successful run as a flight attendant for a Yelp event recently, but I don’t know if I want to do that for Halloween. I am playing with some Disney villain looks, so we’ll see if any of those pan out. Do you have any dream costumes that you might one day put in the time/effort to get? Can’t wait to see what you whip up for Halloween this year! Haha I don’t think it’ll be great this year 😦 But we’ll see! !